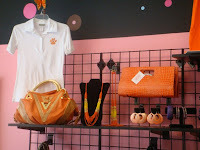 Clemson Girl: Visit Two Sisters Boutique for cute and classy gameday apparel! Visit Two Sisters Boutique for cute and classy gameday apparel! 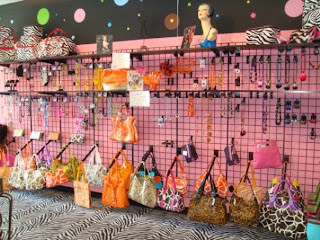 I’m really starting to wonder where all of these great boutiques were when I was at Clemson. I’ve just found out about a great new boutique in Seneca – Two Sisters Boutique – that’s just a hop, skip, and jump away from Clemson. The family owned and operated boutique is located between Clemson and Seneca on Hwy 123, just pass Palms and next door to Patio and Fireside (click here for a map). Two Sisters offers customers unique apparel, handbags, accessories and gift items. They also offer custom monogramming – including vinyl monogramming. Two Sisters Boutique will monogram pretty much anything – lamps, glasses, clipboards, tags for your car, cell phone monograms, etc. Dresses – Two Sisters offers a great selection of unique orange and purple dresses for gameday. You know I’m a huge fan of one shoulder dresses, so the one shoulder orange dress below Two Sisters sells is my favorite! This dress would be perfect for this weekend for the sure to be hot noon game. I also really like the short-sleeved patterned dress below. Sure it has colors that aren’t Clemson, but there’s enough purple and orange in the dress that if you dressed it up with orange jewelry it would make for a different, but cute gameday outfit. They also carry the cute, short-sleeved ruffle trim dress below – in orange AND purple! Cute! 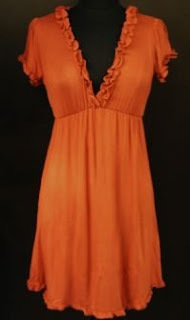 The orange dress will be great in October – paired with knee high brown boots and a jean jacket. What do you think? Orange and Purple Tops - Two Sisters Boutique also carries a variety of tops that would be cute for the more casual gameday Clemson girl. Any of these tops paired with jeans would make for a super cute (and comfortable) gameday outfit. I am in love with the first top pictured here! This top would be so cute with a white skirt or a jean skirt or jeans. 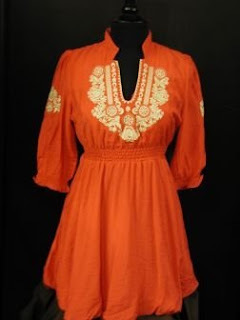 And the orange, quarter length sleeve embroidered tunic is perfect for late October games paired with skinny jeans and brown knee high boots. 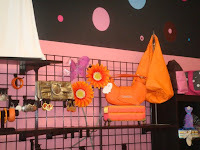 Handbags and Purses – Two Sisters also carries a large variety of handbags, purses, and clutches. Look at this entire wall of them below! You can find the perfect handbag for gameday or for any occasion! So are you already in your car heading to Two Sisters Boutique to get your outfit for next weekend? 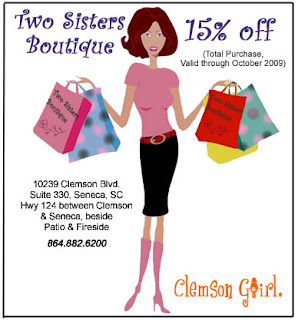 If not, here’s some more motivation – Two Sisters Boutique is offering all Clemson Girl readers 15% off of your total purchase when you print out this coupon and bring it to their store. Thanks Two Sisters!! You better hurry and use it though, it’s only valid through October 2009. 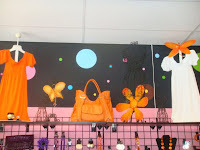 You can find Two Sisters Boutique on Facebook. They currently have a Web site in the works, so stay tuned. If you have any questions or would like to contact Two Sisters Boutique, you can reach them at 843-882-6200. Please buy me that orange ruffle blouse in the first picture. For Christmas? Thanks.